CD (ST) ABC. 5046797412. 2005. 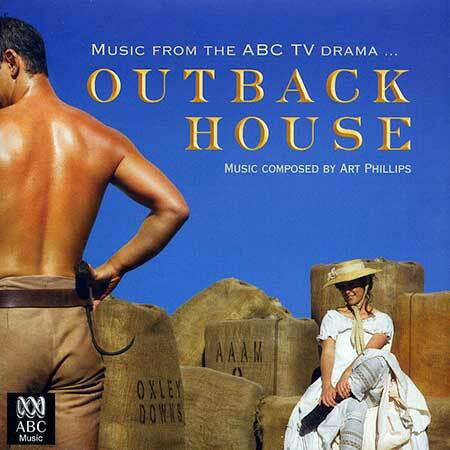 “MUSIC FROM THE ABC TV DRAMA OUTBACK HOUSE”. Recorded and mixed at Art Phillips Music Design (Sydney, Australia). Mixed by Adrain Bolland. Mastering by Spatial Music.com.au. Keyboards, acoustic guitars, mandolin and percussion programming: Art Phillips. 01: Theme From Outback House. 20: Reprise From Outback House.